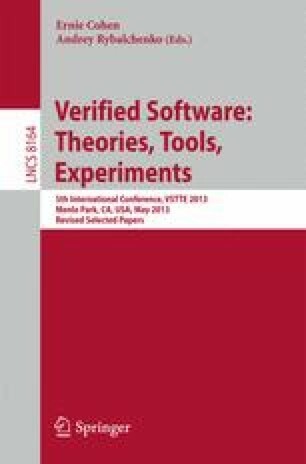 Bounded verification is a technique associated with the Alloy specification language that allows one to analyze Alloy software models by looking for counterexamples of intended properties, under the assumption that data type domains are restricted in size by a provided bound (called the scope of the analysis). The absence of errors in the analyzed models is relative to the provided scope, so achieving verifiability in larger scopes is necessary in order to provide higher confidence in model correctness. Unfortunately, analysis time usually grows exponentially as the scope is increased. A technique that helps in scaling up bounded verification is parallelization. However, the performance of parallel bounded verification greatly depends on the particular strategy used for partitioning the original analysis problem, which in the context of Alloy is a boolean satisfiability problem. In this article we present a novel technique called tranScoping, which aims at improving the scalability of bounded exhaustive analysis by using information mined at smaller scopes to guide decision making at larger ones. In its application to parallel analysis, tranScoping compares different ways to split an Alloy-borne SAT problem at small scopes, and extrapolates this information to select an adequate partitioning criterion for larger scopes. As our experiments show, tranScoping allows us to find suitable criteria that extend the tractability barrier, and in particular leads to successful analysis of models on scopes that have been elusive for years. This publication was made possible by NPRP grant NPRP-4-1109-1-174 from the Qatar National Research Fund (a member of Qatar Foundation). The statements made herein are solely the responsibility of the authors.